Thirty pounds overweight may not seem like a big deal to some. But for JoAnna Ward, the battle to lose it proved to be as challenging as her competitive experience on “Survivor: Amazon.” But instead of braving the elements and relentless opponents as she did in the 2003 season of the CBS reality show, this time she was in a fight against her own body, will, and spirit. Now victorious in her battle against the bulge, the 36-year-old Georgia resident is able to share the same principles she used for herself to help others, even if they have a lot more weight to lose. In her fitness devotional, Surviving the Fitness Game, she mixes the natural and spiritual as a sure-fire recipe for successful weight loss. Ward, who had been athletic all of her life, found herself struggling with a weight challenge due to the stress of going through a divorce in 1996 and returning to a deeper state of single parenthood than she had experienced prior to marrying her son’s father. But despite her past active life style as a basketball and track participant in high school and basketball star in college she found that losing weight was going to be more difficult than she had imagined. Today the 5-foot-10 certified aerobic instructor is a svelte and muscular 160 pounds, down from her original 192. She noted that 130 pounds of her weight is muscle, which makes a difference in appearance, since muscle weighs more than fat. Ward is now fulfilling the prophecy for book-writing that was spoken over her by her mother, friend and prayer partner, the late Dorothy Vassell who died shortly before the taping of “Survivor: Amazon” in 2002. Surviving the Fitness Game is an interactive, 28-day fitness devotional that shows readers how to meet weight loss and fitness goals successfully by first addressing and conquering personal imbalances, strongholds, and other hindrances. Three sisters, who lost a collective 250 pounds in one year, testify to the fact that Ward’s method works. Ward served as their personal trainer in 1999. Through a combination of Scripture, exercise, and healthier eating habits, Darlene, Kamili, and Rasheen Jamison were able to do what they originally thought was impossible. Surviving the Fitness Game and its accompanying instructional DVD can be purchased at any Christian bookstore, Target or on www.amazon.com. 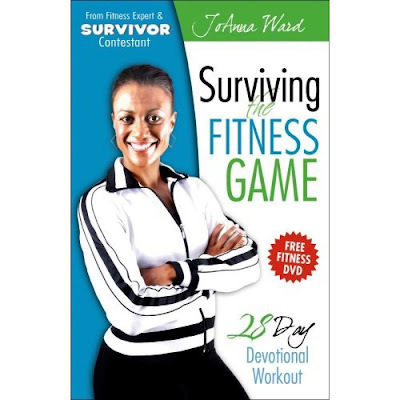 For more information about JoAnna Ward, visit her website at www.survivingthefitnessgame.com. 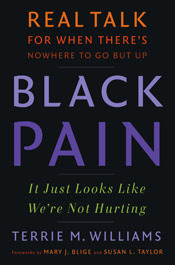 Chocolate Pages Talk show with Pastor Andre Butler and Calvin Swindell, authors! You see my "glory" but do you know my story?